I came home Monday afternoon from a long day at work and found, not one, but two new cookbooks propped up against my front door awaiting for my arrival. I opened the packages quickly but prolonged the excitement by waiting until bedtime to crack open the crisp new covers. Laying in bed, comfortable in my pajamas, surrounded by books is my idea of pure bliss. The book that demanded my immediate attention was this one, The Farm Chicks Christmas by Serena Thompson.﻿ With the Christmas television specials still a couple of weeks away, I needed to find a way to get into the Christmas spirit. This book did it for me. 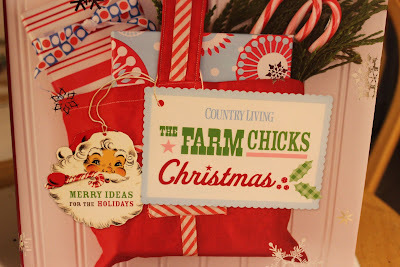 The Farm Chicks Christmas features many crafts and holiday decorating ideas with some recipes thrown in along the way. The book definitely has a festive spirit running throughout the pages. I enjoyed looking into Serena's life and seeing how she and her family and friends celebrated the holidays. The recipes center around food that can be used as gifts - cookies, cakes, nuts. Also, there are several recipes for punches and warm beverages that would be perfect for winter gatherings. I think I was most inspired by Serena's suggestions for packaging the food gifts. This is one of my personal weaknesses. Every year, I make plate after plate of cookies and candies but then can't figure out how to package them so they're attractive. But, this year, I'm prepared after reading this book. Seeing Serena's and her friends' homes decorated with items that they've found in their antiquing adventures reminded me of things that are hidden away in my own closets and could be brought out to decorate my home this year. The main feeling that I got from The Farm Chicks Christmas is love what you have and love who you have. A wonderful memory is the best gift you can give someone. The other book that arrived on Monday was Molly Wizenberg's A Homemade Life. Molly writes the blog Orangette which, being new to blogging, I've just discovered. 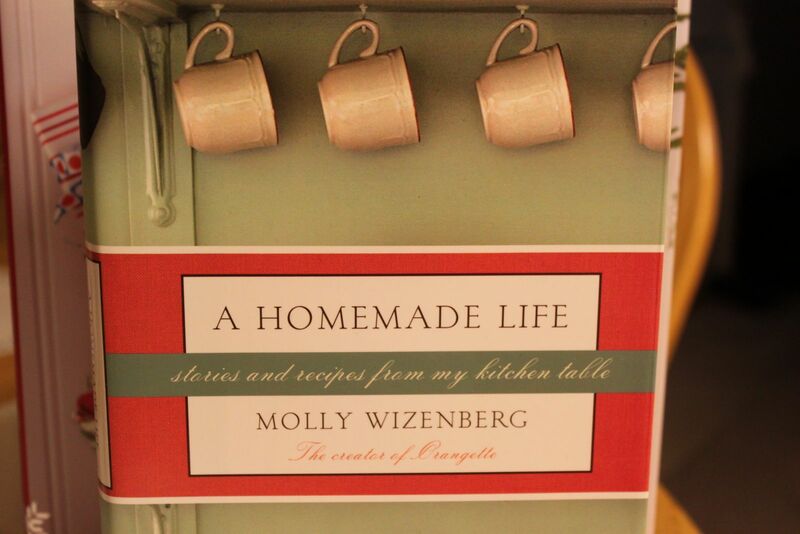 This book is a memoir filled with recipes. Or, is it a cookbook filled with memories? Maybe it's a little of both. But, it's funny and inspiring and I'm reading a few chapters every night so that I can savor each story and make the experience last a little longer. I'm pleased with both of these books. I know that I'll refer to the Farm Chicks Christmas throughout the holidays and I'm excited to see where Molly's story leads. I'm always looking for inspiration in the kitchen. What are some of your favorite cookbooks? This is my first time to your blog. I agree with you about savoring your time with your cookbooks. Pass along any great recipes that you see. Thanks Cindy! I'm always on the lookout for good recipes to feature on my blog. Keep checking back to see what I come up with next. You have a great site here - the recipes sound great, and your food pics are awesome! I read your full bio on the Featured Friday site, and it looks like you're well on our way to your dream!